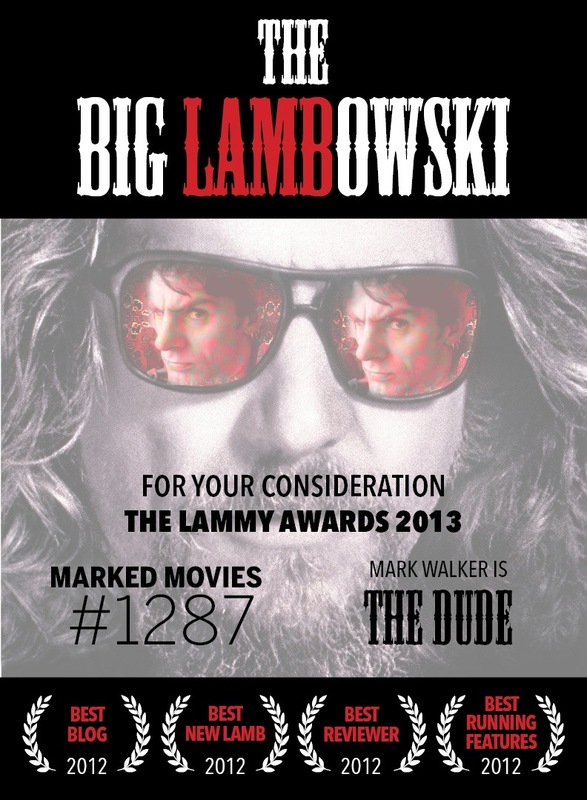 As some, or most, of you will be aware, the 2013 Lammy Awards are now underway. Amongst all of us bloggers this is a coveted prize that brings warmth the heart of the victor. If only, to be reminded that other bloggers appreciate the effort that you’ve put in. Don’t worry too much, though. I’m not about to go on the campaign trail and bombard you with my gleaming smile, firm handshake or even a photographic opportunity when kissing your baby. That being said, I’d still like to win one of these awards but I’m going to be straight up about it. What I would like to do, at this time, is thank all of you who have submitted my blog and got me to the nomination stage. I’m over the moon and can’t thank you all enough. It is at this time that I will now submit my “For Your Consideration” poster (which I’ve been dying to do) for the four main category’s that I would be greatful in getting a nomination for. The poster speaks for itself, I think, and that’s as far as my campaigning will go. However, you will still be able to see the poster in my sidebar throughout the nomination stage as a gentle reminder. Anyway, I’ve said enough already. A big thank you to Chris from Filmhipster for the excellent poster that he designed for me and thanks to all that have submitted me so far and for any further consideration you might have. This entry was posted on March 21, 2013 at 7:33 pm and is filed under Uncategorized with tags 2013. You can follow any responses to this entry through the RSS 2.0 feed. You can leave a response, or trackback from your own site. Best of luck Mark. I’d be surprised if you weren’t among the final few for at least a couple of these. Thanks a lot Chris. I appreciate your kind words, man, and I hope you’re right. It would be nice to win a little Lammy. You will also be in and about yourself my man. I really expect to see your name appearing regularly. It certainly would be nice but I’m gonna be like you in that I’m not gonna bleat on (ha!) about it and annoy people. Just gonna do my consideration post tomorrow and then maybe another if I actually get properly nominated further down the line. I’d vote you if I could Mark! Love your site buddy and you deserve an award(s). I know you would Chris and I appreciate your support very much buddy. Can’t thank you enough for the superb poster and all the help you’ve been giving me lately. Cheers bro! Thanks Fogs, I’m very grateful my man. You know I’ve got your name down too. It’s not favouritism or friendship that will dictate my vote but because you deserve it. Thanks Michael. Very much appreciated my friend. It’s exciting to finally be involved in this type of thing. Best of luck to you Mark! 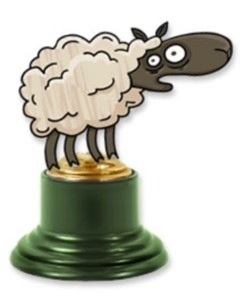 I’m not campaigning this year but I’d be thrilled to see my friends win LAMMYs! Oh that’s not the reason, ahah, but you are sweet for saying that. I do hope you win Best New Lamb at the very least, Mark!! I would vote for you too – if I could…. I know that Eric and I appreciate it very much amigo! Indeed man! Get yourself in there! Sometimes they need a gentle nudge. They’re busy as hell over there. I’d ask Joel about it again. The same thing happened to me last year and I just missed out on the lammy’s then. Good luck. I’d vote for you if I was part of the LAMB. That’s also an awesome poster. Thank you sir! I appreciate your support very much. You should get yourself into the Lamb. Next year you’ll be going through all this and it does add a little excitement. The poster’s great isn’t it? I love it! Good luck Mark and I’ll keep you in mind when I’m casting my votes. Have been submitted for some categories myself and am looking forward to the whole process, guess I’ll have to make a poster as well. Thanks Nostra. Posters aren’t necessary I suppose but I wanted one, as this is my first time round the Lammy block. Good luck this year, man. You have a great chance and my submission of yours still stands for the nomination phase. Good luck, Mark. I’d say you have a good chance in all of them, and at least as far as I’m a concerned, you’re pretty much a shoo-in for Best New Lamb. Thanks Morgan! A lot of people reckon I’m a prime candidate for New Lamb. I hope so and also hope to steal another. My trivia post is insanely popular. Yeah, you’ve got a solid shot there as well, at least of winding up on the final ballot. I certainly hope so. Ultimately, it’s just nice to be included. I never expected this so soon. Thanks man! I’ve never seen such a convincing response. I appreciate it very much! Thanks man. Best of luck to you too. Good luck, Mark! You deserve the recognition and that ´poster is awesome! Thanks Fernando. Here’s hoping I can grab one of these coveted prizes. Best newcomer could land at anyone’s door. There’s lots of great stuff out there and you certainly have a great chance. Best of luck to you too, comrade. Congrats on your nominations Mark. I have poster envy. May the best of luck be with you. Many thanks Vinnie. I appreciate it man. Love that poster, man. Best of luck this year! It’s a beauty isn’t it? I’m very happy with it. Thanks a lot Eric. Best of luck to you too. Best. Lammy. Poster. Ever! Congrats on the nominations. Haha! Thanks Steph. Yeah, it’s exciting times for Lambs just now. Hey there! I’m pretty certain you’ll grab at least one Lammy – if not several. But you never know – with more voting this year, it’s hard to tell where the votes finally will fall. Anyway: best of luck! I’ve already submitted a ballot and – yes – your name was in more than one category. You have supported me right from my early days of blogging and I appreciate your support to this day. I’ve made my selections already too and yours was on quite a few as well. The very best of luck this year Jessica, and thanks again.